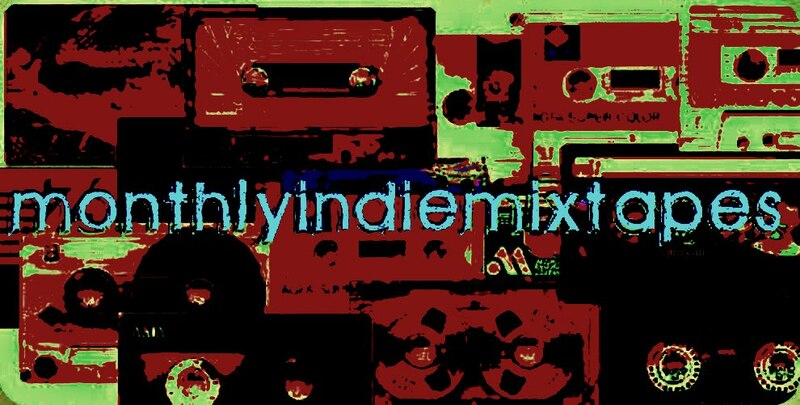 MonthlyIndieMixtapes: A Little Bonus For You All. Just thought I'd drop you a little bonus Mixtape in between the regular. This mixtape is 6 tracks from artists I know and respect from back home in Melbourne, Australia. Some are gaining themselves quite a following and some are looking for more people to experience their music. So give them a listen and if you get a chance drop them a line and let them know you are listening. It would be great to see you get behind them all. Frasca's distinctive, gutsy, heart-felt vocal style is of uncommon strength, maybe it came down the line of blood from a relative of hers, famous Opera Singer, DAME NELLIE MELBA (who appears on the AUS $100 note). Her chunky slide guitar grooves are earning her respect from fellow musicians and been wowing crowds all over Australia. In just 3 years she has achieved more than most musicians could hope for in a lifetime. Stepping in the shoes of legendary Australian rock singer, Peter Garrett, Dallas has fronted Midnight Oil and Violent Femme's bass player, Brian Ritchie as well as touring the Australian country with Xavier Rudd. Dallas comes from a background of singing with roots bands. She moved away from home and begun singing at the Saphire Coast town of Pambula, N.S.W, with some friends jamming. Re-locating back to her stomping ground, Wangaratta, NE Victoria, she worked rotating day/night 12 hour shifts as a Laboratory Technician for nearly 6 years on and off. In almost solitary confinement for the 12 hours, she learned to sing by listening to vocalists on the small transistor radio in the lab. There is a certain stubborness needed to be an artist untouched by the inevitable lure of commercial short term gain. Few however, take it to the extremes that Lee Rosser does. Growing much of his own food and living in a house he built himself from mostly recycled materials, many of the ideas and philosophies contained in “Giving Yourself Away” are based on the process of supporting yourself and the compromises needed to do it. This debut solo record from the former "Rambunctious" frontman has the rare quality of working as well in the studio as it does live. Blessed with a three octave vocal range, and grooving right hand the album uses only voice, guitar, and drums (Nicky Bomba). The result is a far cry from the normal singer/songwriter spangle jangle. By using minimal effects and overdubs it has a very upfront, percussive feel. A definite slow burner for 2008/9. Matt Chapman is quite the Folk singer. After honing his abilities in smaller alternative bands he branched out onto his own stage to deliver what some have said to be the best voice in Australian Folk music. A strong following of all things spiritual, Matt delivers amazing lyrics over soothing acoustic guitar. With the inclusion of a vast array of classical instruments Matt's music is something to behold. When Jade Myconos sings, it’s a unique sound, both alluring and powerful, the songs beg for your attention, equally matched by the sound of the boys in her band. This is the sound of Ryder. Based in Melbourne but originally from North-East Victoria, their brand of ‘Urban Roots’ encompasses blues, country, folk and pop, has been impressing audiences at pubs and festivals across Victoria for the past 2 years. 'Jade is one of those secrets you want to let all your friends in on - she has always inspired me to sing with soul, as she does so effortlessly.’ – Ella Hooper - Killing Heidi. Slipping into the scene in 2005 with a self titled duo EP, featuring Jade and the inspiring Greg Whitehead (Matt Joe Gow Band) on acoustic guitar, bottle neck slide, lap steel and vocals, Ryder immediately received regular airplay on Triple J’s ‘Roots n All’ and community radio Australia wide. Soon after the EPs release, the Ryder sound was rounded out with the addition of double and electric bassist, Trent McKenzie (The Bentleys, Fourth Floor Collapse, Cat Walker & the Male Models) and the stick and brushwork of Mark Aird on drums. Storme is an experienced and powerful singer, songwriter and guitarist and a West Australian Academy Of Performing Arts graduate. Her second album/debut album "Images Of Reality" shows influences from Sarah McLaughlan with her angelic harmonising and captivating moments. Also, a hint of Bonnie Raitt's cool yet blues and country rock based structures and , for those with a keen ear, the subtle yet intriguing cool blue sounds of Rickie Lee Jones. Combined with her third release "Gone To Freedom", she presents passionate but serious vocals with an attitude to encompass and satisfy the listener. So there you go. A little bonus for you. Personally I think they are all great artists but that could just be me being biased! Check them out for yourselves and let me know what you think. I'm sure you will like them too. Bonus Melbourne Mixtape - The Week In Sound.